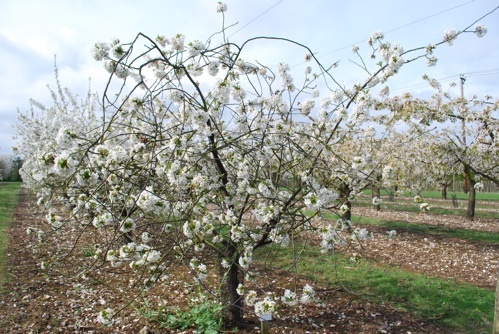 Morello cherry – trained or bush form? On our main web-site Edward Olleson describes his own style of training a morello cherry which has drawn the following comment. 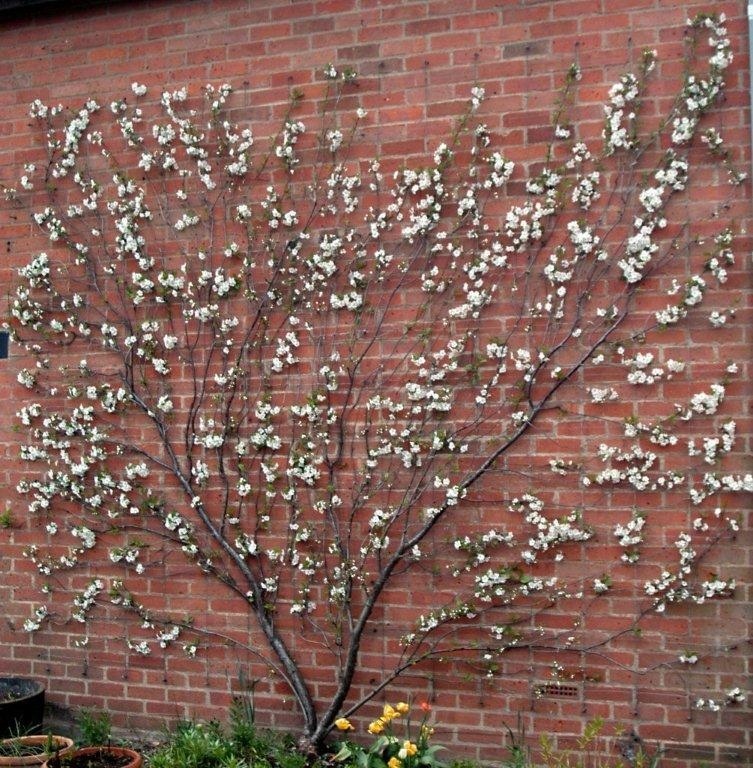 Edward Olleson finds a fan trained morello easier to manage than a bush form and his picture shows a wall tree with an even distribution of branches. Morellos flower and fruit on young wood (last years growth) and pruning can be detailed and take time. I would much prefer a bush form and cut back each year to produce shoots. Inevitably one ends up with a rather untidy tree with the fruiting wood on the outside and semi bare wood forming the framework. Some people prune immediately after picking the fruit. The blackbirds love morellos so a net is required, but with older trees it is almost impossible to achieve protection. I got through two morellos in my garden – they had short lives, but productive ones. I suggest they are more rewarding to grow in a small garden than sweet cherries. Morello on Colt is a good combination and Royal Horticultural Soceity Garden, Wisley, Surrey had superb example in the ‘Model Fruit Gardens’ until recently which they managed to hold at about 7-8 ft height. Also a well trained large fan on the entrance to the orchard area.